Nerve blocks are designed to stop the feelings that go through targeted nerves. A suprascapular nerve block can relieve your shoulder pain long enough for you to complete your physical therapy. An intercostal nerve block stops pain in nerves in your chest. An ilioinguinal and an iliohypogastric nerve block give you relief from groin pain. Dr. Melepura, a top rated pain doctor in NYC can offer a variety of options to treat your pain. Make an appointment in our NYC sports injury clinic today. Sometimes, following an injury or before you begin physical therapy, your body needs a break from the onslaught of pain. Receiving a nerve block gives your body just that: temporary relief. And that may be all you need to get on track with your new exercise regimen or allow your body sufficient rest as it heals. Nerve block injections are commonly used on professional and amateur athletes who suffer with upper back pain, lower back pain and middle back pain. Whether you have a back injury, a severe back sprain, a pulled muscle in your back or facet joint syndrome, a nerve block may help you avoid invasive procedures like surgery. A nerve block is an injection of steroids and anesthetics directly into the spot that’s causing you pain. Steroids reduce inflammation, while the anesthetic provide pain relief. The procedure only takes about 15 minutes and is performed right in your NYC doctor’s office. You lie on an x-ray table so that your doctor can see x-ray images in real time. This arrangement helps guide the placement of the needle. He may inject some contrast dye to highlight the area even further. Once the injection is made, you have to wait about 15 more minutes to give it time to work and to ensure you don’t have any side effects. Nerve blocks — including an intercostal nerve block designed to treat pain after a surgery or where you had shingles on your chest, a suprascapular nerve block for shoulder pain or ilioinguinal and iliohypogastric nerve blocks for your upper thighs and groin areas — are only temporary fixes. Each lasts only a week or two. The intercostal nerve block procedure also is commonly used as a diagnostic tool when imaging tests don’t reveal the exact location of an injury or disease that’s causing your chest pains. It takes about 30 minutes in your New York City doctor’s office. When delivered for pain relief, it’s often the only treatment you’ll need. The ilioinguinal nerve crosses the iliohypogastric nerve as they leave the lower part of your spine and continue down your upper thighs through to your groin. Because they are so small and wound around your pelvis, both nerves are at risk for damage during abdominal surgery, an appendectomy, C-section or even laparoscopic surgery. Contact sports such as football and wear-and-tear activities such as running can lead to groin traumas that cause chronic pain, but ilioinguinal and iliohypogastric nerve blocks effectively treat this pain. It’s common to get a nerve block following hernia surgery too. Everyone has different experiences with nerve blocks, but most people find at least temporary relief, something they are very grateful for. Usually, it’s fear of the needle that’s more acute than the needle itself. And your Midtown Manhattan team of specialists ensures your comfort and safety throughout the entire procedure. A little bit of soreness for the months of reprieve from constant pain is a welcomed exchange. You and your doctor can then decide follow-up plans of action to relieve the source of your pain or agree to regularly scheduled visits to monitor your response and give you additional nerve blocks when needed. 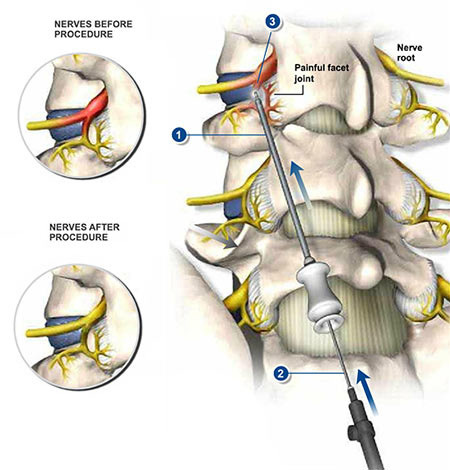 Do you have any questions about the nerve block injection we offer in NYC? 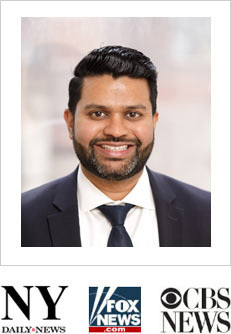 Would you like to schedule an appointment with the best rated back and shoulder pain doctor Febin Melepura MD of sports pain management clinic NYC? Please contact our office for consultation with the top pain relief specialist in Midtown Manhattan.